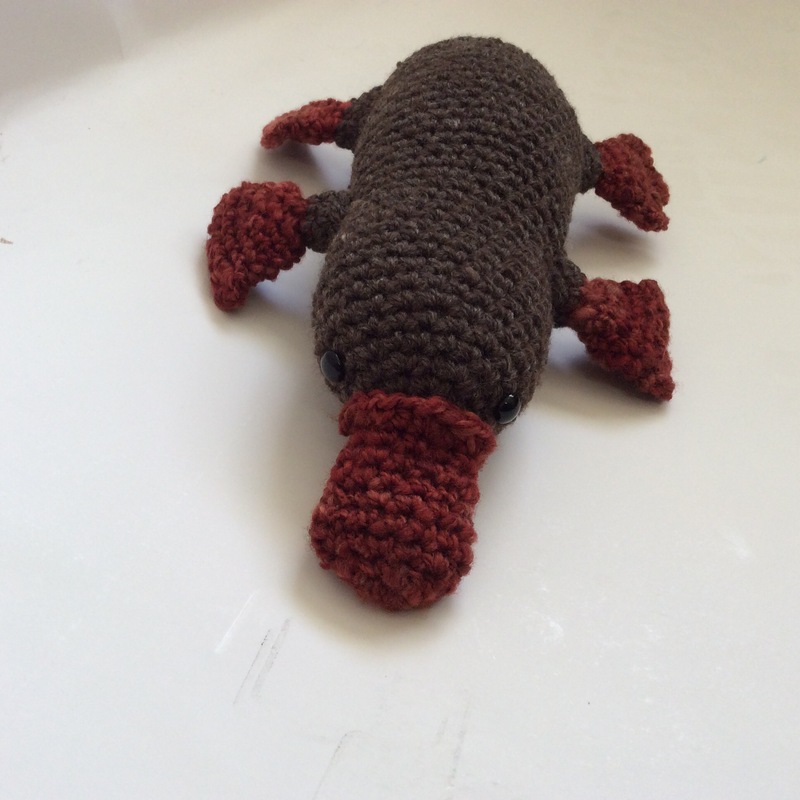 This platypus pattern came from PlanetJune. I asked for the pattern as a gift for my birthday oh, two years ago? I finally sat down to make it on the weekend and it took me about a day. Crocheted in the amigurumi style (which can be a bit boring to crochet) it was fun to make because it has quite a realistic shape to it. He came together in a really pleasing way and the pattern was very easy to follow with photos, detailed explanations and links to online resources if you really needed help. I used buttons for eyes and handspun and dyed yarn. He is lightly stuffed and about 30cm long bill to tail. 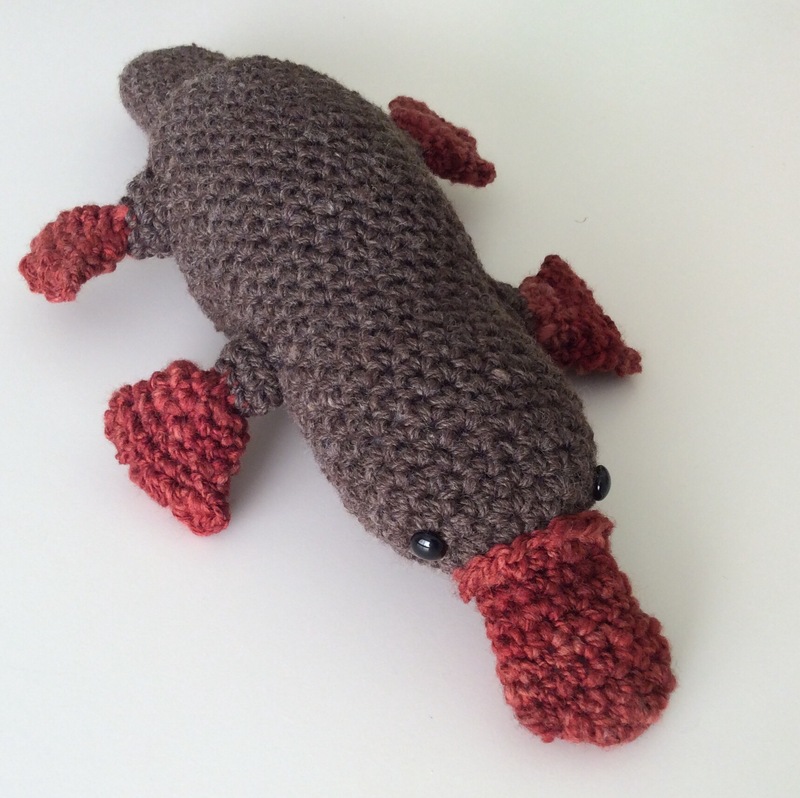 Platypuses (platypi?) are monotremes – mammals that lay eggs. I would recommend checking out PlanetJune for a wide range of animal patterns – some of which are free or for a small donation. 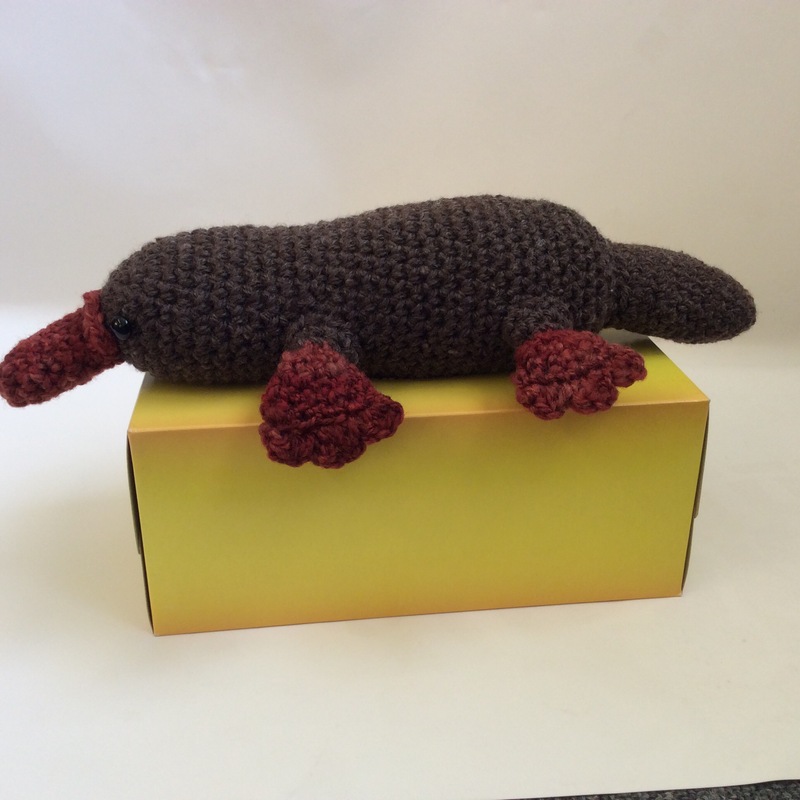 This entry was posted on 10/11/2014 by flicstar in Toys and tagged amigurumi, crochet, crochet platypus.